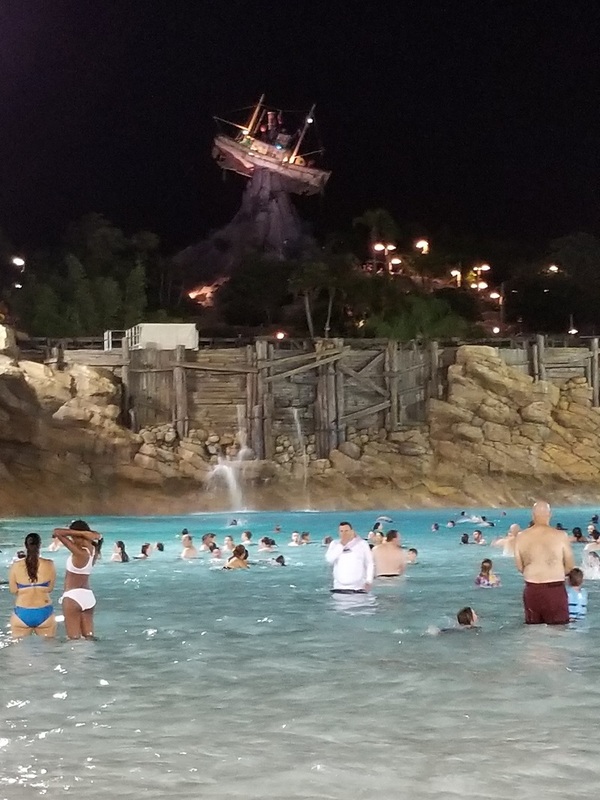 I visited Typhoon Lagoon at Disney recently. In terms of Orlando water parks, Typhoon Lagoon is the park that I've been to the least. I believe this was the second time I've been there and it has been years since my last visit. 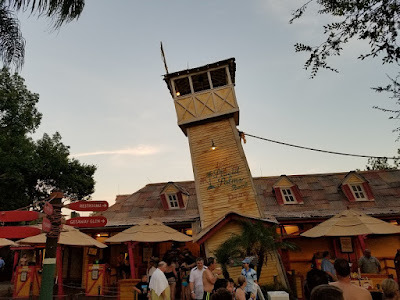 Being that it was so long, I was surprisingly pleased with the quality of the oldest water park in Orlando. While there, I had dinner at a restaurant called Leaning Palms. The menu was typical water park food, mostly consisting of burgers, hot dogs, etc. I ordered the one thing which seemed unique. 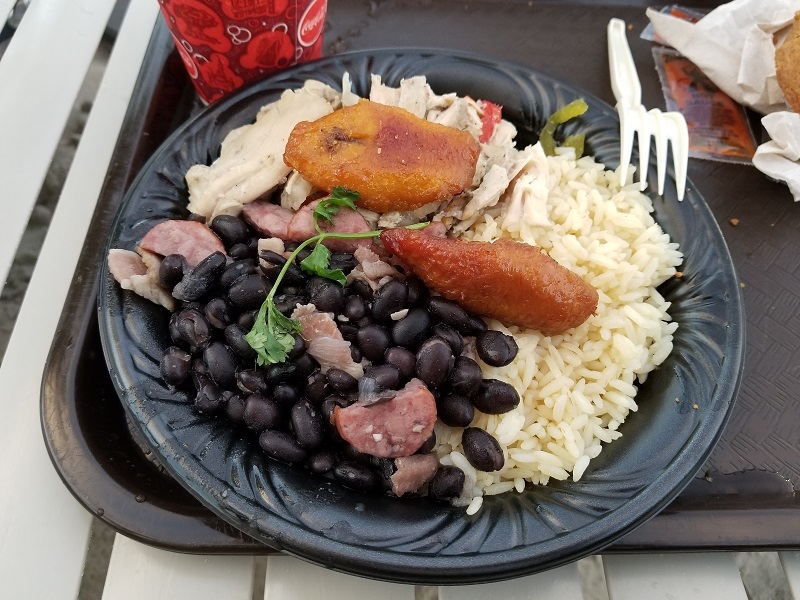 The Mojo Chicken was shredded chicken, served with rice, black beans, and plantains. The chicken appeared plain, but was really flavorful. The black beans had sausage mixed in, and the rice and plantains were as expected. I was pleased with my meal. Food inside of Disney theme parks has been disappointing to me on my more recent visits to the parks. I'm glad this Mojo Chicken changed the trend! 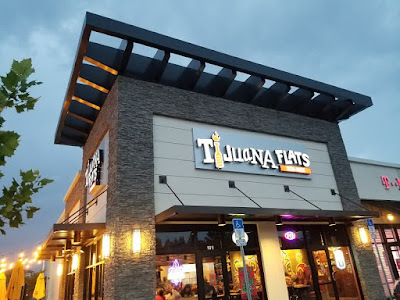 Tijuana Flats has added a new section to their menu. They call it Flat Outrageous. 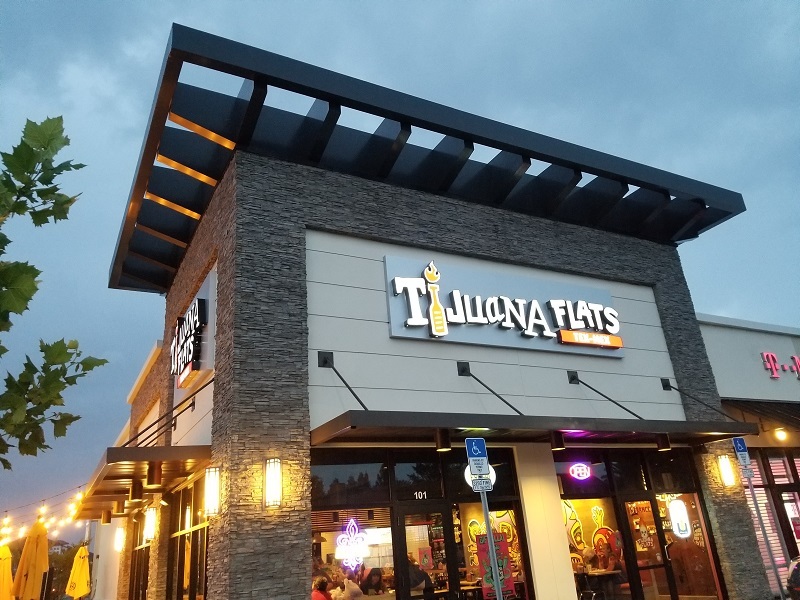 This new Flat Outrageous menu features street tacos, flautas, and tostadas. 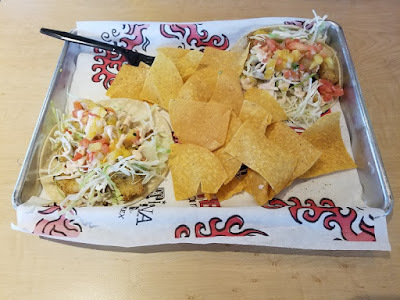 I was recently invited to one of the newest Tijuana Flats locations in Orlando near Millenia to sample some of the items from the new menu. 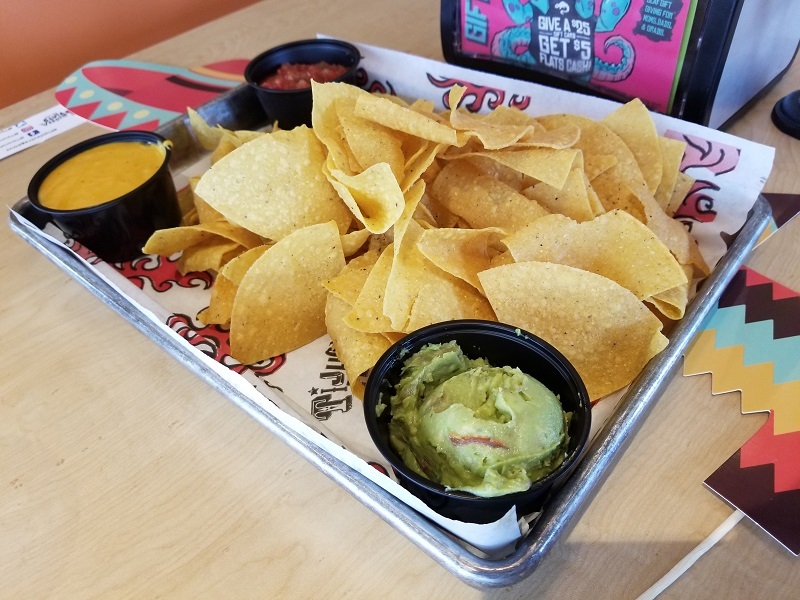 Tijuana Trio: Chips, salsa, queso, and guac. Not from the new Flat Outrageous section of the menu, but chips and dips are always a standard. 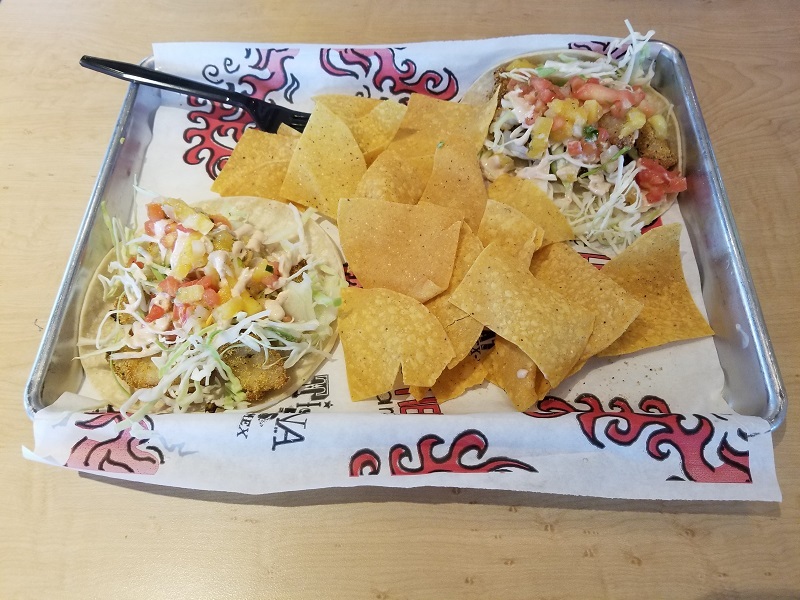 Crispy Baja Fish Street Tacos: Crispy fish, chipotle crema, shaved cilantro cabbage, and pineapple salsa. 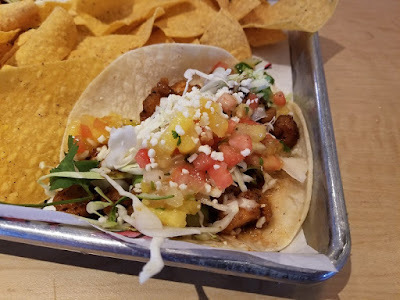 Jerk Chicken Street Tacos: Crispy jerk chicken, MoreFire! hot sauce, shaved cilantro cabbage, pineapple salsa, and cotija cheese. 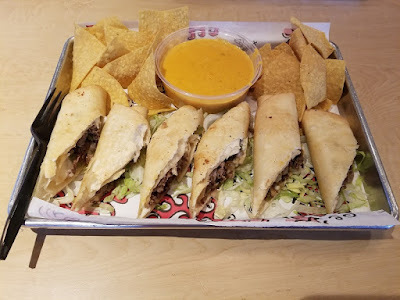 Of the street tacos, this one was my favorite. It had much more heat than I'd expect from tacos in a chain restaurant. 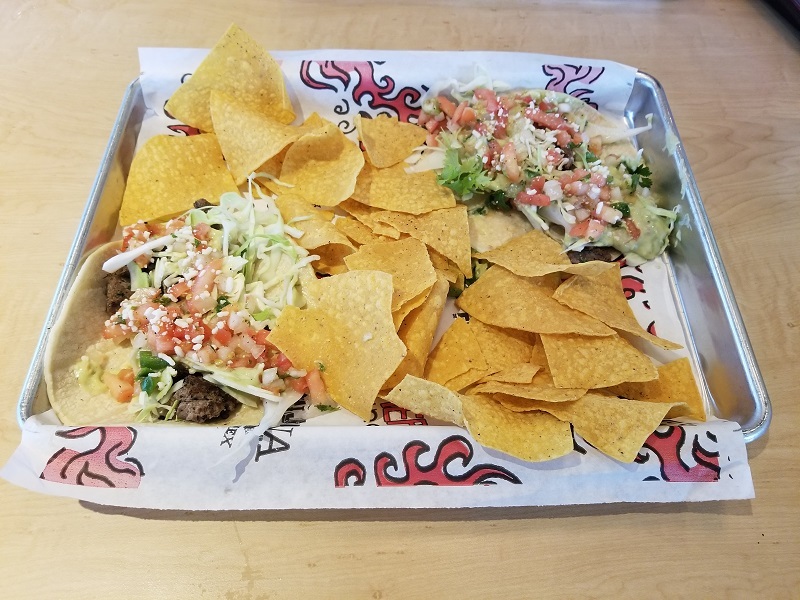 Lime Steak Street Tacos: Grilled garlic-lime steak, avocado crema, shaved cilantro cabbage, pico de gallo, and cotija cheese. Philly Cheesesteak Flautas: Cripsy tortillas stuffed with shaved sirloin steak, mozzarella cheese, grilled onions & peppers served with queso. Bangin' Chicken Tostadas: Cripsy corn tortillas with Smack My Asss Bangin' Chicken, refried beans, cheddar jack cheese, grilled onions & peppers, tomatoes, and ranch dressing. Another item that I really enjoyed. 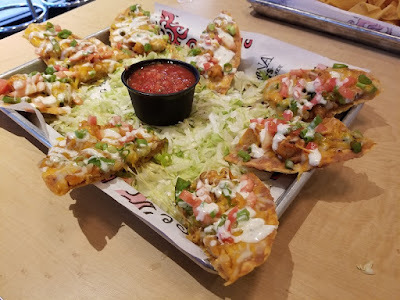 I think this is what I'll be ordering on my next visit to Tijuana Flats. 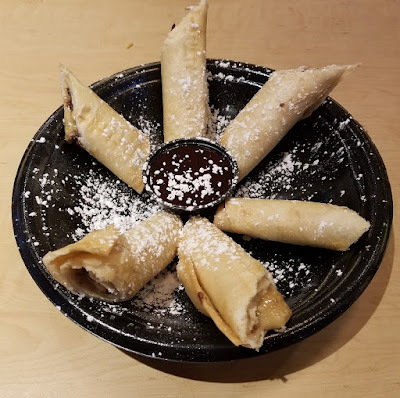 Cookie Dough Flautas: Chocolate chip cookie dough in a flour tortilla, lightly fried and topped with powdered sugar. Served with a side of chocolate syrup.